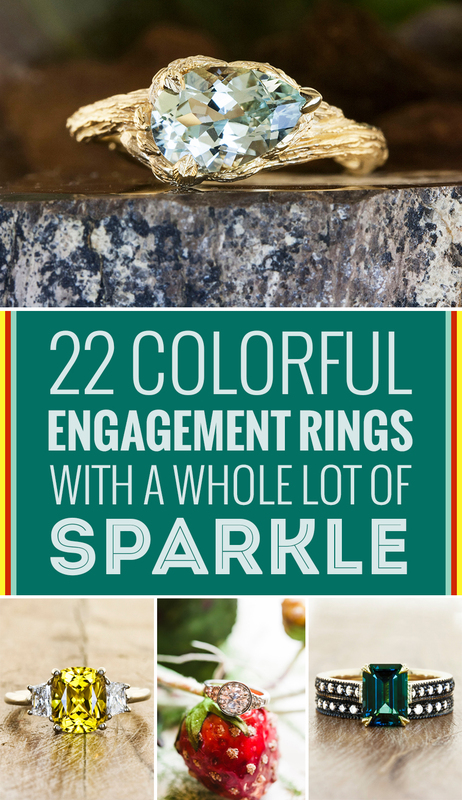 A bride with a colorful personality deserves an engagement ring to match! If a traditional diamond ring isn't your cup of tea, don't fret. Below we've rounded up 22 gorgeous options -- in all colors of the rainbow -- that are guaranteed to make you swoon.